Conspirator Brock's Basement: Where do you get your fix? I'm just curious as to where our loyal listeners pick up there comic books. Post in the comments a little bit about your local comic book store. Maybe one day when I actually get to travel I might check your shop out if I am in the area (if I haven't already). I live in Jubail, Saudi Arabia. As a kid I bought comics from groceries magazine rack which is closest thing to comic book shop. For 52 DC relaunch, I will buy digital comics. There is a plan for a middle east comic con sometime in 2011/2012. I hope they do have a comic con where you are because they are fun things to go to. Be sure to let us know how the day and date digital comics work for you. And thank you for being a listener. I pick up all my comics from a local store a few minutes from my house in Kirkland, WA (just east of Seattle). Corner Comics (http://www.cornercomics.com/) has become my go to place to pick up both single issues and trades since I got back into buying a year or so ago. Paige, the owner is friendly and knowledgeable so I enjoy stopping in to pick up whatever is in my box. Jacob: Corner Comics looks like a nice place to shop. Nice touch that the last four digits of the phone number spell X-Men. If I'm ever up around Seattle I will have to check out Corner Comics. I'm in Oakland. I use DCBS (sorry) for the majority but I also visit either Dr. Comics and Mr. Games in Oakland, Isotope in SF or Stand Up Comics in El Cerrito. No apologies needed. Get your fix where you want. 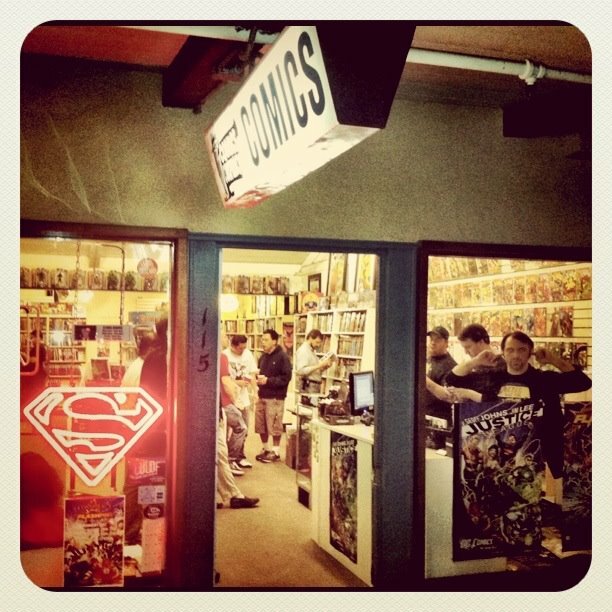 But if you are ever in Sunnyvale come by Comics Conspiracy to check us out.